To just keep doing what we’re doing, all without getting 100% clear on where we’re going, what we need to DO and who we need to BE to get there. Change is hard. 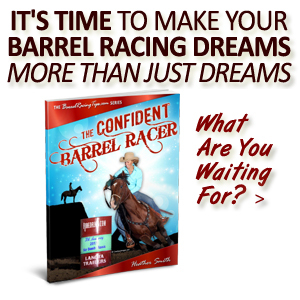 But what’s harder in the long run is not growing, not progressing and rising to meet your potential, and that of your horse’s. Which is why we all must get in the habit of being very intentional and purposeful when it comes to being who we were put on this Earth to be. With the help of structural support systems, we can stay focused and avoid the painful roller coaster of frustration or regret. 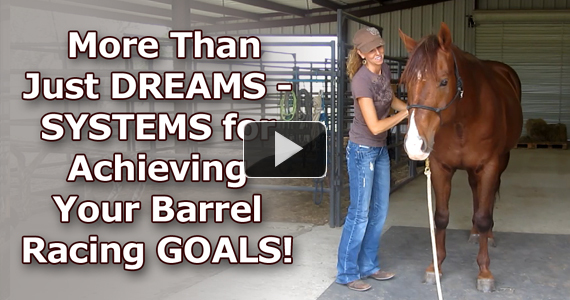 Instead, I encourage you to use the tips and ideas I’ve shared in the video below as guidance and inspiration to create your own “systems” for getting and STAYING on the fast track to BIG TIME barrel racing success! Although systems are often first created in response to realizing what’s not working, I encourage you to be pro-active! A couple weeks ago I came across this powerful post featuring photos of four sisters taken by a photographer every single year for 40 years, and it’s unreal to see how they age over time. It reminded me that life is fleeting. 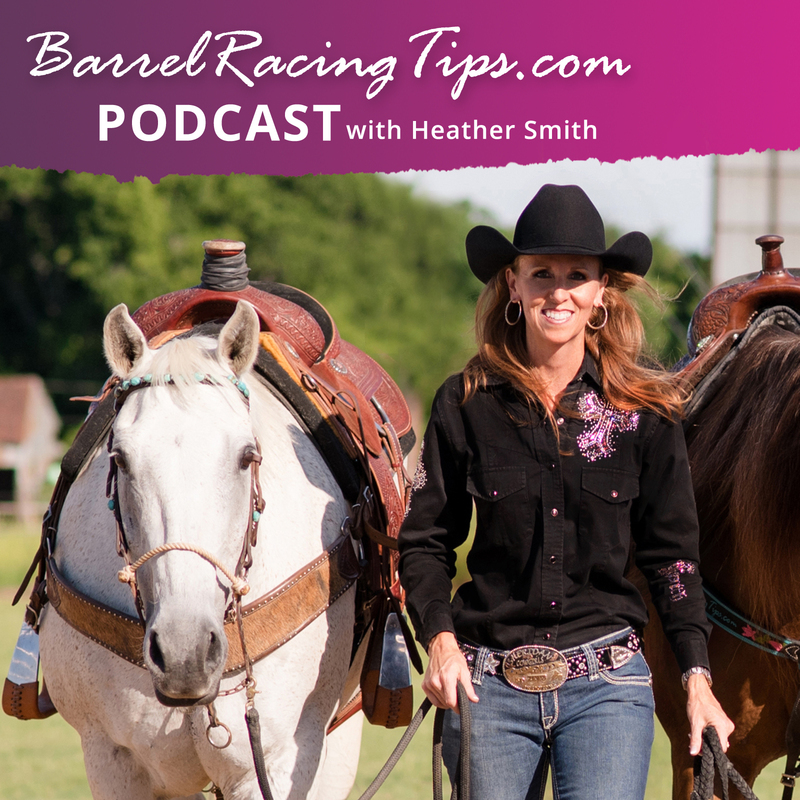 While getting in too big of a hurry can actually create setbacks (when working with horses, especially), at the same time I hope you feel a sense of urgency when it comes to achieving your barrel racing goals. Don’t put off creating your personal “success systems” (click here for a complete list of mine as an example), because they certainly have the power to make a positive impact in every performance you make from here on out. My challenge for you is to stop dreaming and start doing and being, knowing that every passing moment is one to seize, to live fully yet simply – to honor the purpose you were put on this Earth to serve and the passion in your heart you were meant to pursue. 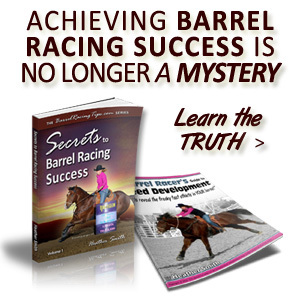 Being a winner requires winning habits, in every area of life and in every moment – starting now! Who do I desire to BE? What do I desire to do & have? What learning, action steps or tools will I need? In what ways have I been challenged in this area? What type of SYSTEMS will help me stay on track? Click here for these categories and questions a downloadable, printable “Systems for Success” FUNsheet to serve as framework and guidance for creating your own systems. 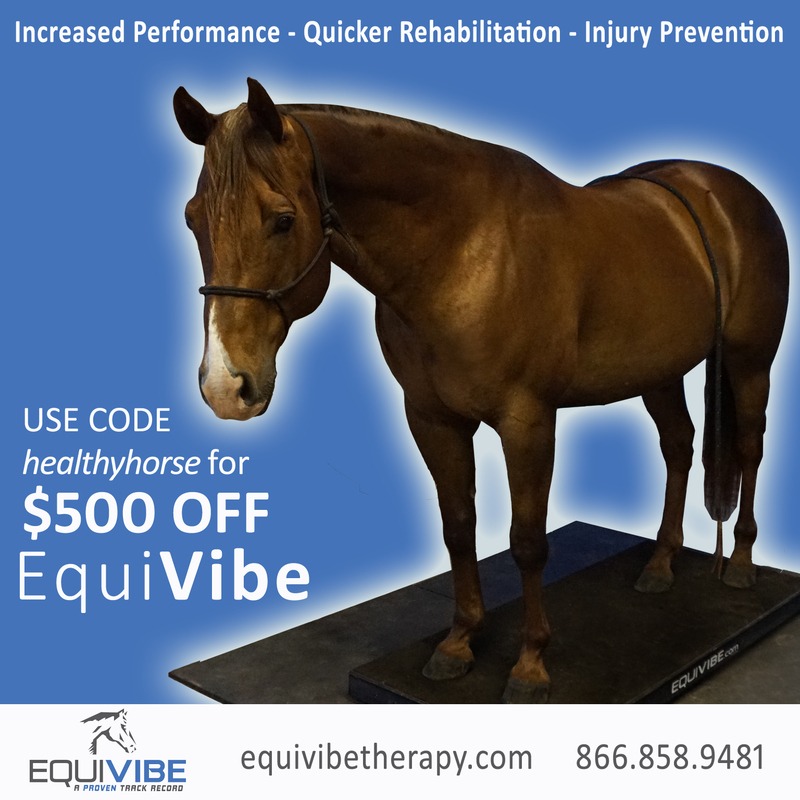 Also check out the posts below for even more support in getting and staying on the FAST TRACK. Out with the Goals, In with the New – What Do You Desire? 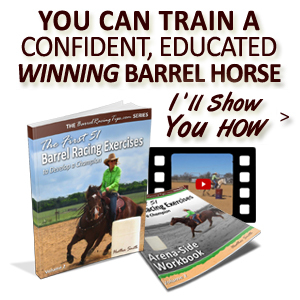 Principles for Performance – Horsemanship and Barrel Racing without Limits! This video is awesome! Thanks for sharing with us Heather 🙂 I’m curious to hear if or how your routine has changed over time? Since I filmed this video, everything is still pretty consistent when I’m home. I’m not sure why I didn’t include workouts though, I devote 20-30 minutes to those 5 days/week first thing in the morning as well. Even when traveling – my morning personal development and exercise is still a top priority, as well as eating clean, but sometimes the workouts get done at a different time of day or in the form of TONS of walking, for example. 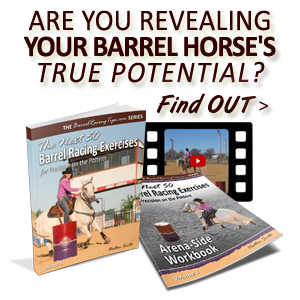 How to Bust Through Barriers: The REAL Reasons Barrel Racers Stay Stuck Budgeting for Barrel Racers – Plan Now, Celebrate Later!